At some point in our lives, most of us will need to create or make changes to our estate planning documents. This includes documents such as a Living Trust, Last Will and Testament, and Power of Attorney. Circumstances change or new elements are present that cause individuals to reconsider the decisions previously made when they planned their estate. Modifying, amending, or revoking estate planning documents can be simple to very complicated and if done incorrectly, your estate as well as your beneficiaries may be subjected to consequences that you were trying to avoid or did not intend. They best way to avoid these consequences is to consult a board certified attorney. A board certified attorney can guide you through every step of the way of your estate planning needs, addressing any changes that you are seeking. In addition, a board certified attorney can advise you as to the potential consequences of making these revisions. Let’s take a look at some of the ways an attorney can help you modify your previous estate planning document(s). For minor changes to a living trust, you can utilize a Living Trust Amendment. For example, if you wish to change the appointed successor trustee, you could draft an amendment to address only that section of your Living Trust. A Living Trust Amendment is a separate document that should be kept with the original Living Trust document. If you need to make a more substantive change, or multiple changes to your Living Trust, it may be more practical to draft a restatement. A restatement is essentially a brand new, updated trust. Restatements can be used to change trustees, add or remove assets, change beneficiaries, or make changes in accordance with any statutory amendments. Drafting a restatement with a board certified attorney can help ensure that all of the modifications that you are requesting are included in your Living Trust. If you wish to make changes to a will, a board certified attorney can draft a Codicil. This is a document that is kept with your original Last Will and Testament and amends only the portion(s) addressed in the Codicil leaving the remainder of the Last Will and Testament unaltered. If there are several changes you wish to be made, it may be more practical to revoke your current Last Will and Testament and draft a new one in its entirety. It is important to hire a board certified attorney to address all of your questions and concerns regarding making changes to your Last Will and Testament and to draft the necessary documents to effectuate these changes. It may be necessary to grant the power to handle your affairs to a third party through a Power of Attorney. Powers of Attorney allow a third party to act on your behalf on all matters to which power was granted. There are specific powers that cannot be granted unless specifically listed and initialed. 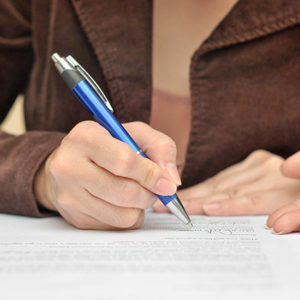 Therefore, it is necessary to have your current Power of Attorney reviewed and possibly revised by a board certified attorney to ensure that your current documents are in compliance with the current Florida Statutes. If you have an estate plan in place, it is important to have that plan reviewed every so often to ensure your estate passes the way you intend, and that the Agents you want to act for you during your incapacity have the ability to do so. Please feel free to contact a board certified attorney to assist you with these matters, or visit www.flammialaw.com for more information.